Chami and I have decided that from today onwards we will not be accepting e-book review copies. We already have an intensive list of books that we need to review for authors and we're finding it very difficult to keep on top of them at the moment. Chami is currently in her final year of school, and I'm about to start my second semester of University next month, so as you can imagine, we're already incredibly pressed for time. We really love connecting with authors about their books and getting the chance to read things we wouldn't necessarily be able to get our hands on otherwise and being able to share them with others. We haven't fallen out of love with this at all. So, for the next few months we will not be accepting e-books for review as we attempt to catch up with our outstanding requests. We're not sure how long it will take us to catch up and so we don't know when we'll re-open requests but we will post about it when we do. To any of the authors we've already promised reviews to, I'm sorry we've taken so long to get to them but we'll try and get them done as soon as possible. IT'S RECOMMENDATION TIME! You can see my other recommendation posts here: #1 and #2. The five books I have for you today are all ones I've recently read (which is how I plan to do the rest of these posts). So, let's get it started in here! This one is quite popular, but I feel the need to mention it anyway. THIS IS SO GOOD! I don't actually remember every being scared because of a book until this one. I don't even know why, there's just this aspect to the book that makes it seem so very real and possible- it's terrifying. You need to read this, it's just that simple. Also, special thanks to Kelly for Diva Booknerd for supporting me after this book was finished, I could not have survived without you! This one's very different from any of the others. As you can tell from the title, it's a graphic novel...but it's not just any graphic novel it's a graphic novel adaptation of The Great Gatsby. (How many times do I need to say graphic novel?) It's so amazing, and unique and the characters are all this little funny creatures and the art is amazing (and originally hand-drawn by Nicki). I'm working on a very special post dedicated to this so look out for that. I'm being a bit mean here as this one isn't out until July, but I just HAD to mention it. This is really amazing, it's being described as a sort of 'reserve-dystopian' but personally, I believe it's more of a survival story with a twist. I can't tell you much more, but my review will be out late June! As many of my fellow Aussies will tell you, this is a YA classic down here. It's the first book in seven book series about a bunch of teenagers fighting for survival after Australia is invaded. It's action-packed, and just wonderful. I studied this in school a while back so this is a re-read for me, but if you're an Aussie who hasn't read this you need to get on it, and if you're from anywhere else...you need to read this just as much! 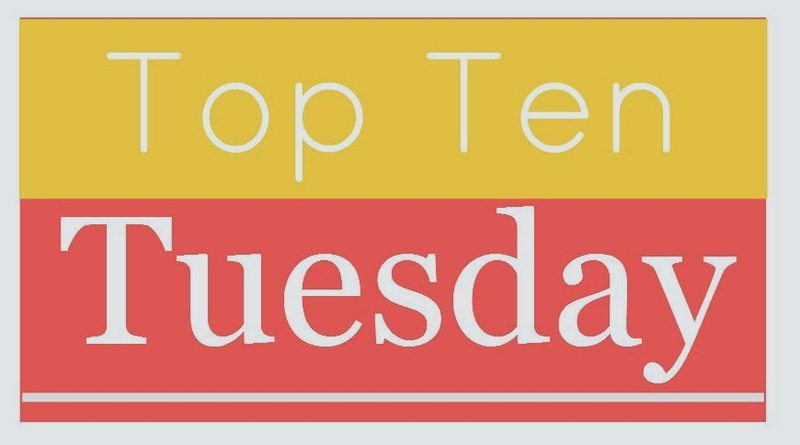 Top Ten Tuesday is hosted by The Broke and the Bookish, and you can find more about this meme here.This week is a freebie week, so I decided to talk about some books I really loved but never reviewed- I got this idea from a previous Top Ten Tuesday post, which you can find here. I read this one in a matter of hours and sometimes I still have to pause for a moment and think about this book. I think that's why I never reviewed this book- I just couldn't put into words how I felt. I'm considering doing a full series review once the third book comes out (though I have yet to read the second). Like The Unbecoming of Mara Dyer, I read this one in a matter of hours, in fact I stayed up to the very early hours of the morning to read this. Again, I just couldn't find the right words to discuss my feelings of this book and again- I'll be doing a series review once I finish the next two books. Of course, I read these long before my reviewing days. Obviously, I loved them and I don't think a day goes past where I don't think of something to do with HP. Hopefully, I'll be re-reading them over my winter break (summer for all you Northern Hemisphere people) and I'll be doing a little post on them then. I didn't realise I hadn't written a review for this until I was talking to Kelly (Diva Booknerd) the other day about this book. To sum it up, I loved this and if you're interested in a review, I really suggest reading Kelly's because she put all of my thoughts into actual words. I think I featured one of the books in the trilogy on one of my Top Books of ? (I can't remember what year, I'm thinking maybe 2012) but yes, I really love this trilogy. It's a modern day retelling of the Fates, but it's incredibly twisted and quite dark (not my usual thing) and just amazing. Okay, so I know I talk about this one a lot- in fact, I think it's almost featured in every one of my Top Ten Tuesday posts. This is another I stayed up quite late to finish, and I also force pretty much everyone to read this- just ask Chami. I'm hoping to re-read it soon and write a review then. I read this one very early in my reviewing/blogging days, so I never actual wrote a review for this. It's been almost two years, so I don't remember a lot about this book but I remember loving it. Again, I'm hoping to re-read this so I can continue on with series and review it. Again, this was a series I read quite a while ago. I seriously loved this series- the plot and characters are amazing, and the illustrations are just mind-blowing. Maybe one day I'll give this series a re-read and write some actual reviews. This is another I featured in my Top Books of 2012, but never actually reviewed. This one was a pretty quick read for me and I definitely cried. Again, the illustrations are really lovely in this book. This is also the book that ignited my love for Patrick Ness. So that was my Top Ten for this week. I hope to see you all next week! Genre: Young Adult. Sci Fi. Dystopian. Reboot was sent to me for review, but this is no way alters my opinion of this book. I don’t even know where to start with this. I loved it, okay? I didn’t really know much about this before it was sent to me- I know it was sort of Dystopian/Sci Fi and I knew I wanted to read it. It wasn’t until I got the little like ‘press sheet’ that I realised that this has kind of got a zombie thing going on. I’ve never really read zombies, but I’d heard such great things about Reboot that I didn’t really mind. I loved the two main characters- Wren and Callum. Usually, it takes me at least a few chapters to warm up to characters but I loved these two from the moment they appeared. I love a good strong female lead (don’t we all?) and I definitely think Wren fits that bill. She’s a serious badass, guys. I would not want to get caught with her in a dark alley…not at all. I especially loved that Callum is the weaker of the two. I’ve noticed usually when you get a strong female lead, you get an equally strong or stronger male lead, but in this. Well, Callum’s pretty terrible. I love that. I loved the plot too. It was fast-paced but not too fast-paced. There were those parts that weren’t so much about the action but rather about the world and the bigger picture. All of it was interesting, I don’t think there was an actual moment when I was even remotely bored. I loved how Amy Tintera built the world- I think it’s amazing but it’s also very unique. Like I said, I don’t have a lot of experience in the zombie genre but I think this has got to be one of the most unique. Now, before I finish off this review, I wanted to dedicate a special little section here to talking about the book itself. As in, the aesthetics of it rather than the content. Words cannot describe how amazing this book looks. I tried to explain it but I didn’t do a very good job at that, so I’ve just included these pictures for you instead. BUT DO YOU SEE THAT? CAN YOU SEE HOW BEAUTIFUL THEY ARE? Finally, I just want to mention how excited I am to the read the sequel, Rebel. I’M REALLY, REALLY EXCITED!! I can’t wait to see where this story goes and meet some new characters. Thank you the lovely (and very helpful) Lara from Allen and Unwin for sending both Chami and I copies of Reboot! I admit, I’m kind of ashamed of how long it took me to get to this book. 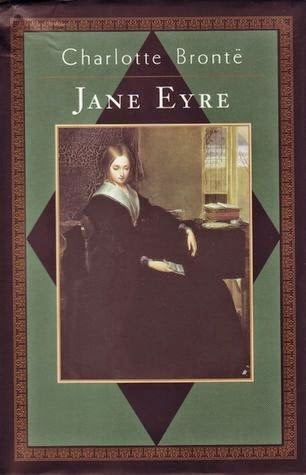 I’m not the world’s biggest classic reader, but I really do enjoy them and so I felt a bit strange having never read Jane Eyre. It was actually the first classic I ever bought, back when I was about 14 or so and I was just starting to really get back into reading. I’m 18 now, so this was sitting on my shelves for at least four whole years before I read it. I think one of the greatest things about classics like Jane Eyre is that you sort of know the basics of the story before you start it, whether that’s through adaptations, references in other books or movies or through family or friends. I saw the recent movie adaptation of Jane Eyre when it came out in 2011, and I enjoyed it. Though I’d originally only gone to see it for Harry Lloyd (massive crush alert! ), I thought the story was interesting and the cinematography was beautiful in this strange, haunting way. Despite this, I was completely confused by the order of the film and I think this is what put me off the book. For any of you who may feel the same way, let me tell you- that confusing backwards order of the film? Yeah, not so much in the book. I tend to separate movies and books in my head (as in, I don’t usually let movies influence my perceptions of the book- but I’ll have a post on that later this month), but I just found that the book made so much more sense. Because of that, I instantly loved the book. I thought that this would take me at least two to three weeks to read, but I read all of it within 24 hours. That’s how much I loved it. Now, let’s talk about Jane Eyre, as in the character. I’m going to admit now, she’s not my favourite heroine of all time nor is Mr Rochester my favourite love interest. There were moments when she absolutely drove me up the wall, and there was a lot of me sighing in exasperation (and quite a bit of ‘just love him already!’). There were also moments where I loved her- she’s an incredibly strong character but also very realistic. I mean, that’s why this is a classic, right? I think considering everything she’s put through, it’s a miracle that she didn’t end up completely mad. This being said, my favourite thing about her is her wit and intelligence (I think this is probably everyone’s). I know a lot of people love Mr Rochester, and I do too but I don’t know- he’s just not my favourite. I will admit, some of those lines made my heart flutter. While I loved pretty much everything, my favourite thing about this entire book was the writing. Obviously, I read a lot of YA and I think that sometimes author’s voices can blend together, so this was perfect. There’s something about the writing that makes it so beautiful and enthralling, even when the subject matter is as depressing as all hell, and it continues to haunt you. How can you do that, Charlotte? So yes, basically, I really, really love Jane Eyre now. I feel like an idiot for putting it off this long. And now I’m on this gothic romance literature kick and there’s no turning back. *This is our first review using GIFs, please let us know what you think of us including them. This post was sort of prompted by Kelly from Diva Booknerd's post about a week ago, where she pledged to be a better book blogger- one who supports others and stands up against bullying. That post is amazing and I strongly urge everyone to read it. Of course, there have been some not so great things in the blogosphere that lead Kelly to make that post and for me to make this one. Now, as you probably notice- Chami and I aren't massively popular book bloggers, and we're okay with that. When we first started blogging, it was all about the followers and the views, and while I still pay attention to the views of every post- it's more because I'm interested in seeing the type of posts that more people enjoy reading. Chami and I were speaking about this the other night- this blog isn't for the followers anymore, this blog is for us. I don't think I can put into words how much I love this blog. I have a lot of fun writing this blog, and talking with other bloggers on twitter and Goodreads and in the comment section of blogs. I know we don't have the best design or our own domain, but I really, really love our little blog. Some of you may know about the more negative things that have been happening around here, and I'm not here to criticise anyone. I understand how easy it is to leave a rude anonymous message somewhere nowadays. What I don't understand is why you would do it? I'm not going to go into this issue anymore because otherwise I might rant for hours. The purpose of this post was to share some blogger love. I know we all have those blogs we stalk more than others, so I thought I'd share some of mine with you today. Now, I want to mention that I legitimately read all of these blogs- some of them are my friends, others I've never spoken too before but these are some of my favourites. I know I probably forgot some people, but I might do another post like this later on in the year. But until then, I hope you liked the random post and that you'll check out the above bloggers (if you haven't already). See you soon! Can I just start this post off by saying that my original goal for this read-a-thon was four books? I've now read 6 books and have started a 7th. THIS IS MADNESS. Anyway, Wednesday night, I did end up finishing Half Bad and I also started Jane Eyre of which I read 92 pages. My original goal was to read up to page 50 of Jane Eyre, so this really surprised me. I ended up reading a staggering 866 pages on Wednesday. Now, onto the actual update! Yesterday, I continued and finished Jane Eyre. I read the 374 pages that I had left. I didn't start any other books. Today. Well. 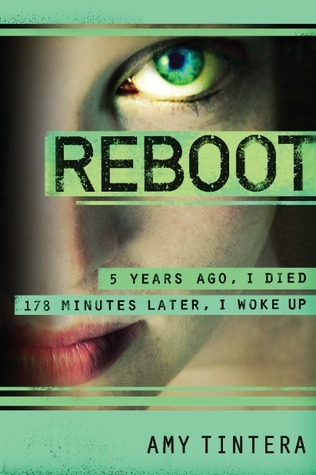 I started off this morning with Reboot by Amy Tintera, and I read all 384 pages of that. Then I read Tales from the Secret Annexe by Anne Frank, so that's another 144 pages. That's 528 pages so far. I've also started Jamaica Inn by Daphne Du Maurier. I'm only 38 pages in at the moment, but I'm hoping to read to at least page 100 tonight. As for tomorrow, I hope I can finish Jamaica Inn. Then, I'd like to start Elantris by Brandon Sanderson. At 615 pages, I don't imagine I'll finish it by the end of the read-a-thon but I'd at least like to start it, but we shall see! State: Currently Running (Season Hiatus) - Approved for Season 5. Plot: Rosewood is a perfect little town. So quiet and pristine, you'd never guess it holds so many secrets. Some of the ugliest ones belong to the prettiest girls in town: Aria, Spencer, Hanna and Emily, four friends whose darkest secrets have been unraveling since Alison, the Queen Bee of their group disappeared. As the mystery surrounding Ali's disappearance resurfaces, the girls begin getting messages from a mysterious “A,” who they quickly realize is out to get them. Now, after years of tormenting and numerous shocking revelations, the Liars are united and ready to kick some “A” and uncover the truth! No longer just wanting to sit by and wait for "A’s" latest cruel attack, Aria, Emily, Hanna and Spencer take matters into their own hands and try to finally put a stop to their tormentor. As relationships are put to the test, new and old secrets are revealed and the stakes are raised higher than ever before as the Liars come closer to the truth. Will all of their sacrifices be worth it in the end? The series stars Troian Bellisario as Spencer, Ashley Benson as Hanna, Lucy Hale as Aria, Shay Mitchell as Emily, Sasha Pieterse as Alison, Ian Harding as Ezra, Janel Parrish as Mona, Tyler Blackburn as Caleb, and Laura Leighton as Ashley. I read 37 pages on Eon, so I'm now on page 149. I also read the first 103 pages of Tamar by Mal Peet (which wasn't originally on my TBR). So I read a total of 140 pages. Well, it's been a good day so far. I finished the last 333 pages of Tamar. I read all 57 pages of Metamorphosis. Currently, I've read the first 243 pages of Half Bad, but I think I'll probably finish it tonight. Countingonly up to page 243 of Half Bad, I've read 633 pages so far today. I've got one class on tomorrow at Uni in the morning, so I'm hoping to spend most of the day reading after that. It takes me an hour and a half to get home so I'll be doing some reading on the train. The only two books left on my original TBR are Eon and Jane Eyre. I've managed to re-borrow Eon from the library so I think that's going to be put on the backburner, also my copy of Jane Eyre is too heavy to carry around with me so I'll be reading something else tomorrow. I've got a few books in mind, it might be Reboot by Amy Tintera, Jamaica Inn by Daphne Du Maurier or Crewel by Gennifer Albin, but we shall see! Top Ten Tuesday is hosted by The Broke and the Bookish, and you can find more about this meme here. This week's list is ten books I almost put down but didn't. This one was a hard topic for me, if I'm not enjoying a book I'll either put it back in my shelves to read later (usually, months later) or if it's a library book, I'll just return it. I've stopped forcing myself to finish books that I'm really not liking. That being said, I came up with five books. This is the most recent one, I really wasn't enjoying this at first. In fact, it took me two or three weeks to get passed the first 30 pages and I was really considering returning it to the library unread. Then I decided to just read a little more, and then suddenly- I was hooked. Some of you might know, that I absolutely adore Rebecca so it might slightly surprise you that this book is on my list. I don't really consider this as a book I almost put down, because it was more of a book I never bothered to pick up. I borrowed it from the library a couple of times, but never read it. Now it's one of my absolute favourites. This is also a favourite of mine now. Going into this book, I was expecting a contemporary so when I got a sci-fi dystopian-y sort of thing, I considered putting it down. I don't know why I decided to keep reading, but I'm glad I did. This is another one that I really loved once I'd finish, but this is a difficult book to get through. It honestly messes with your mind so much, and that's why I considered putting it down but in the end I didn't. Did any of you feel the same about any of these books? 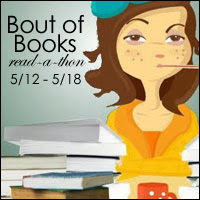 So the first day of Bout of Books is pretty much over for me, but I decided that I was going to participate. I wasn't planning on participating at all this time around because I've got a quite busy week ahead of me, but I literally just changed me mind. So that's it. I'm sorry this post is so badly formatted, I wrote it in about two minutes. I'll do a nice little update on Wednesday...until then. I'm sure some of you have those books too, those ones that you started one day but you just haven't finished. I definitely have a lot of these, so I thought I'd share a couple with you today. Don't get me wrong, I was really enjoying this book. I started it while I was away for the weekend, and once I got back, I had all these other books around me to read and so this one got put back on the shelves. I only got a measly 16 pages into this, but I will finish it one day! Interestingly, I started this one around the same time as Wither. In fact, I put down Wither to this one up and then ended up putting this one down for something else. I only got 12 pages, but it was interesting. I'm not so embarrassed about not having finished this one, mainly because it's so long. I got 60 pages into this one which I read in one afternoon, but I haven't picked it up since. I think it's going to be a winter holiday read for me. I know a lot of people have marked this as a 'dnf' but I'm determined to finish this. I was actually interested by the book, and I got 70 pages in but then I hit a very philosophical part which just was not what I wanted at that particular moment. This was another I was really enjoying, until I put it down for something else. I only made it 37 pages in, but I'm going to pick it up again as soon as I possibly can. I picked this one up around Christmastime, but I put it down to pick up Cinder (and there was no going back after that). I think I only made it to about page 3 before I gave up. This is another one that I don't feel so bad about, this is a big book too. Not only that, but it's a rather dense book (and sometimes, rather boring). I made it 138 pages in, and then gave up but I WILL finish it one day. After reading Stasiland by Anna Funder, I was desperate to pick this up. Stupidly, I picked it up during a heavy assignment period at school (including essays on Stasiland) so I only made it 10 pages in at the time. I've actually picked this up twice, once just randomly and the second time as part of a buddy read. Surprisingly, both my friend and I put this book down at page 24 and neither of us have picked it up since. I will get to it before the movie! I know what you're thinking...how have I not read this yet? Well, I started it and I think I made it to about page 70 or so before I put it down. I was enjoying it, but it just wasn't what I wanted to read at that time. So that's some of the unfinished books I have, I might do an update on these books in a few months (granted only if I've read at least one) or a part two to talk about another bunch of books I haven't finished yet. Are there any of these books that you want to scream at me for not finishing? Are there are any books of your own that you haven't finished yet? Let me know! 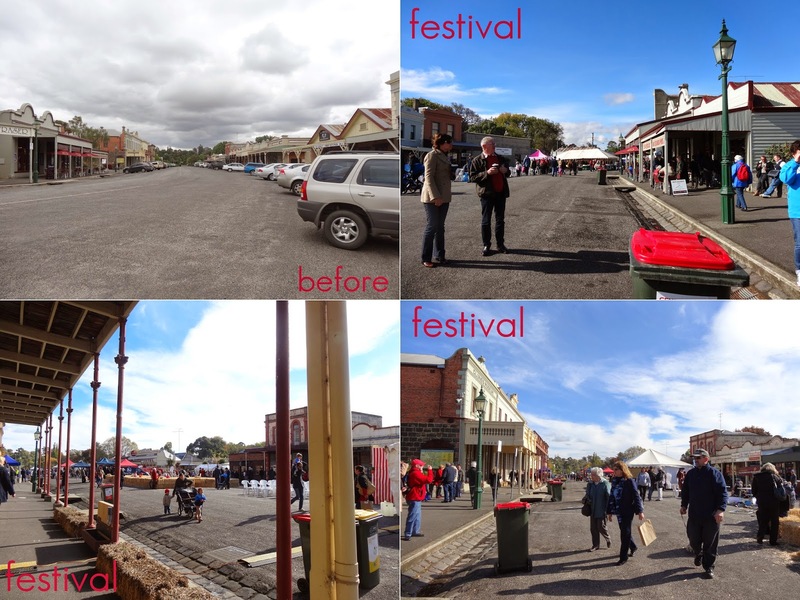 So this previous weekend, I went to the Clunes Booktown Festival. Clunes is this beautiful little town about an hour and a half away from Melbourne that hosts the Booktown Festival in the first weekend of May every year. I've visited Clunes before, but this was my first time at the festival. My parents and I stayed from Friday through to Sunday, but we only attended the festival on the Saturday but I managed to pick up a total of 17 books all pretty cheap. If you want to see which books I got, then you can watch the haul video I've included at the end. The festival is all about secondhand and new books and while most of them were adult, I managed to pick up some YA books too. As for the actual festival, it was amazing. They close off the entire street, and all the beautiful old buildings are opened and everywhere is just filled with books. I didn't take a lot of photo's on the day, but I thought I'd include these three- this is Clunes before the festival (back in November, to be exact) and then for the festival. The photos really don't do justice for how amazing it was. I picked up a few books early in the morning, but then I went off to the only talk I attended. The talk was called 'Pushing the Boundaries of the Novel' and the two authors were Kirsten Krauth and Nicki Greenberg. Kristen's debut is just_a_girl which is an adult novel (I mention this because it's shelved as YA on Goodreads, but also because Kristen made it clear that it is an adult novel), and Nicki is the writer/illustrator of two graphic novel adaptations (and some children's picture books)- The Great Gatsby and Hamlet. I've never really been to an author event like this, usually the YA author events I've been to just talk generally about their books and then there's a signing (which is great), but I loved how in-depth this was. I learnt a lot about the books and how they were created and what they meant to the authors, (especially as I've only read The Great Gatsby so far) and I think they even managed to convince my mum to read them (and considering they're both out of her comfort zone, that's a pretty big deal). After, I got to meet Kristen and Nicki and they both signed my books- they were both incredibly lovely people. Afterwards, I picked up some more books and had some seriously amazing food- donuts and a bagel burger (soooooo good!) Then as the weather started to turn, mum and I headed back to the hotel to start on some of our new books. All in all, it was an amazing time and I'm so excited for all my new books! I was tagged by the wonderful Kelly from Diva Booknerd...Victorian bloggers REPRESENT! The tag is simple, answer the questions and then tag five other bloggers! 1. What are your top three book pet hates? 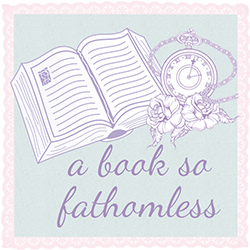 Broken spines, insta-love and unnecessary sequels/spin-offs. 2. Describe your perfect reading spot. A nice comfortable seat/swingy thing in the sun with a cup of tea. 3. Tell us three book confessions. I buy books in various genres but I usually only read books in the same or similar genre at the same time- for example, currently it's fantasy. Whenever I see a free bookmark, I have to take one (or, you know, three). I have a habit of picking up new books, reading a few pages and then leaving them unfinished for months at a time. 4. When was the last time you cried during a book? I cry in books a lot, as well as in TV shows and movies. But I think the last book I cried in was Ignite Me (happy tears), but before that it was The Book Thief (very, very, very sad tears). 5. How many books are on your bedside table? None. My bedside table is sort of my Chami shrine- I've got a framed photo of us, two teddy things (named Chely and Pisa) one of which was a 18th birthday gift from Chami and the other one that we both own, as well as various other gifts she's given (and many embarrassing selfies she's sent). I really don't have room for any books! 6. What is your favourite snack whilst your reading? I don't usually eat and read at the same time, but I usually have a cup of tea beside me- either Earl Grey or Pomegrante. 7. Name three books you would recommend to everyone. Kill the Music by Nansi Kunze, These Broken Stars by Amie Kaufman and Meagan Spooner and Rebecca by Daphne Du Maurier. 8. Show us a picture of your favourite bookshelf on your bookcase. 9. Write how much books mean to you in just three words. More than anything (except Chami). 10. What is your biggest reading secret? This isn't really a secret, but...I still haven't read Mockingjay by Suzanne Collins. And finally, the lovely Eugenia of Chasm of Books. Can't wait to see all your answers, and thanks once again to Kelly for tagging me! 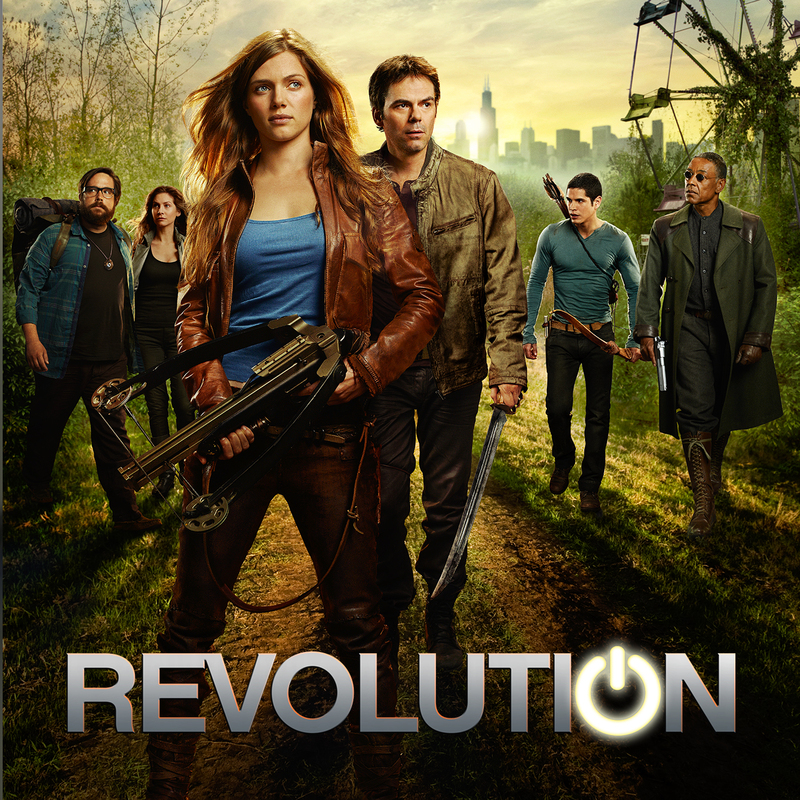 Plot: The series takes place in a post-apocalyptic future. All electricity on Earth has been disabled within a single night, ranging from computers and electronics to car and jet engines. Trains and cars stopped where they were, ships went dead in the water, and fly-by-wire aircraft fell from the sky and crashed. People were forced to adapt to a world without electricity over the next fifteen years. Due to the collapse of government and public order, many areas are now ruled by warlords and militias. It starts with the surviving Matheson family: Ben, Charlie, and Danny, now living near what used to be Chicago, who possesses a pendant-shaped device (a USB flash drive contained in a pendant) that is the key to not only finding out what happened fifteen years ago, but also a possible way to reverse its effects. However, Sebastian Monroe, the General of the Monroe Militia and self-appointed President of the Monroe Republic, an area of the former United States east of the Mississippi River northward of Kentucky and the Carolinas, now possesses that power for himself, seeking conquest of the entire former United States of America. The remaining Matheson family, joined initially by Miles Matheson, Aaron Pittman, and Nora Clayton now strive to counter the Monroe Militia. Monroe's new benefactor, Randall Flynn, a former U.S. Assistant Secretary of Defense who 15 years earlier ordered the deployment of the weaponized technology that caused the blackout, now seeks to fortify Monroe in his efforts after Ben's wife Rachel (working under duress for Monroe) escapes from his custody.